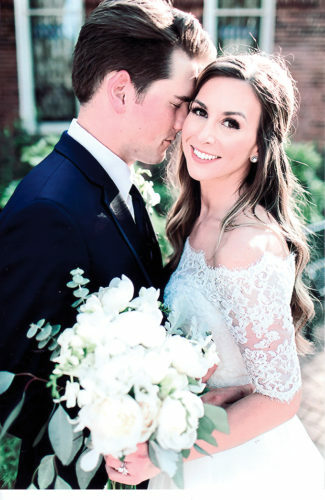 TORONTO – The Toronto gazebo was the setting for the May 20 wedding of Kristin Lee Morris and David James Colvin Sr. The 6 p.m. ceremony was celebrated by Art Fowler. 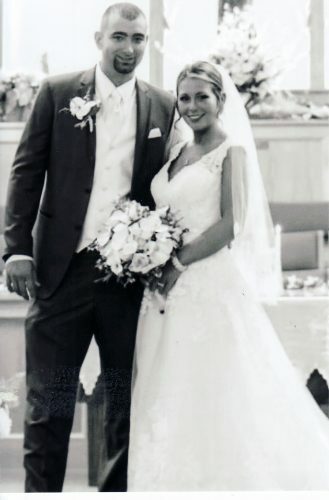 The bride is the daughter of Mr. and Mrs. Chris Walker of Toronto and the late Rick Chesney. 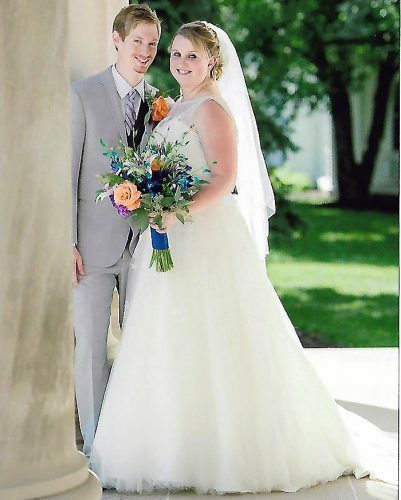 Escorted by her son, Gavin Morris of Toronto, the bride wore a white gown and carried a blue and white bouquet. The groom is the son of Debbie and Donald Monigold and Charles D. Colvin, all of Toronto. 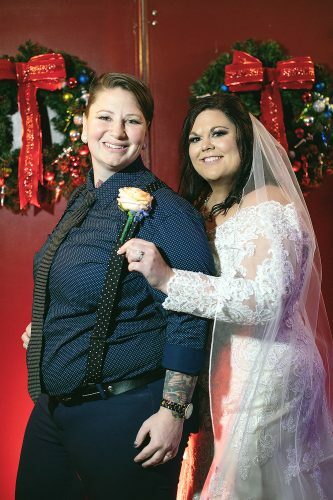 The bride’s daughter, Aliyah Mooris, served as maid of honor, and Faith Anne Colvin, the groom’s daughter, was a bridesmaid. The groom’s son, David James Colvin Jr., served as his father’s best man and ring bearer. 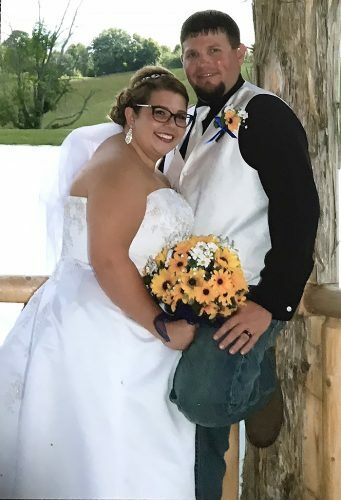 The bride’s brother, Shawn Miller, was a groomsman, and his wife, Kate Miller, was a bridesmaid. Emma Miller, the bride’s niece, was the flower girl. After a reception at the Toronto Eagles Hall, the couple took a cruise to the Bahamas.